Custom Text Note Card displays artwork on front and artist narrative on back. Includes envelope. Your personalized text on inside of cards. See Custom Note Cards for more information. The Lord made this simple woman who came from one of Europe's poorest regions a chosen instrument to proclaim the Gospel to the entire world, not by preaching but by daily acts of love towards the poorest of the poor. A missionary with the most universal language: the language of love that knows no bounds or exclusion and has no preferences other than for the most forsaken. 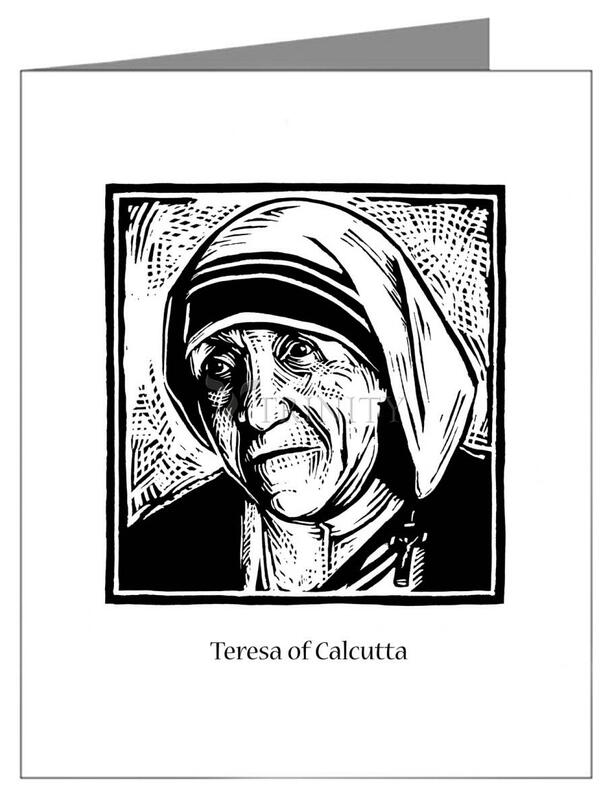 Her feast day is September 5.